← Sasquatch Tracker ECK – Evidence Collection Kit Now Available! Evidence Collection Kits are Still Available! Thanks to all of you who have purchased an Evidence Collection Kit! Almost a quarter of the available kits are now in the hands of Sasquatch Citizen Scientists! ECK – Evidence Collection Kit. If you want to get one of the remaining kits before Christmas, my advice is to act now. Once the stock is depleted, there will be a backorder time of approximately four to five weeks. That’s cutting it kind of close to Christmas and I can’t guarantee delivery in time if you are purchasing it as a gift. Click here for a direct link to the ordering page. A few people have asked about the gloves. The gloves are not latex! They are Nitrile Exam Gloves. I know several people are sensitive to latex, and I chose to avoid the problem altogether and provide Nitrile. I hope everyone has downloaded the free sampling procedure chart. The link is at the top of the left column here. The chart is part of the Evidence Collection Guide that comes with the kit. 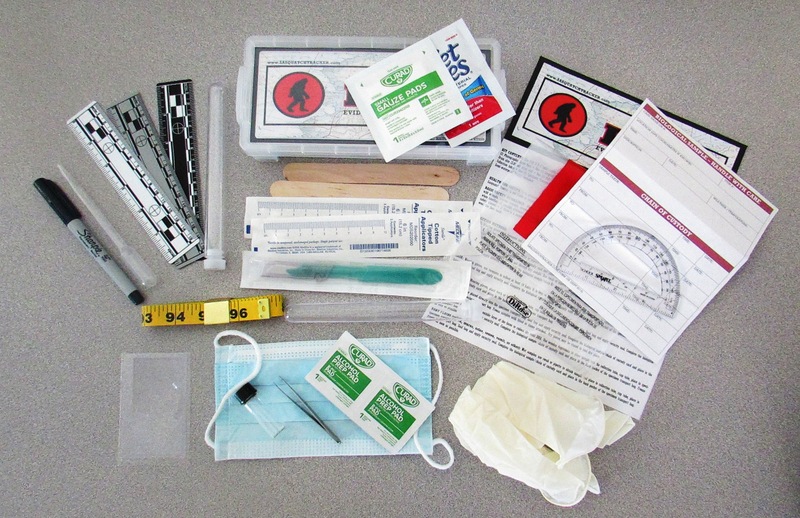 4 Responses to Evidence Collection Kits are Still Available! My wife said these were good kits. I agreed after looking at the size. I could take this just about everywhere! How can I purchase an evidence kit?